Predictive Analytics is among the most useful applications of data science. Using it allows executives to predict upcoming challenges, identify opportunities for growth, and optimize their internal operations. There isn’t a single way to do predictive analytics, though; depending on the goal, different methods provide the best results. Predictive analytics is the area of data science focused on interpreting existing data in order to make informed predictions about future events. It includes a variety of statistics techniques. Marketing: Predictive analytics predicts campaign opportunities and helps find new markets for products and services. Operations: Analytics power smart inventory management systems, forecasting supply and demand levels based on a variety of factors. They’re also used to optimize repair schedules to minimize equipment downtime. Sales: Identifying a company’s best clients and predicting customer churn are two strengths of predictive analytics. Regression is used in price optimization, specifically choosing the best target price for an offering based on how other products have sold. Stock market analysts apply it to determine how factors like the interest rate will affect stock prices. It’s also a good tool for predicting demand will look like in various seasons and how the supply chain can be fine-tuned to meet demand. While it sounds like classification would be primarily useful in descriptive rather than predictive analytics, it’s productively applied when forecasting values. Classification answers questions about a customer’s potential lifetime value, or how much a particular employee is worth. Executives consider this information when prioritizing clients or deciding which employees they should invest training in and promote. Clustering involves grouping data by similarities into “clusters”, or groups of closely related data. During clustering, the most relevant factors within a dataset are isolated. The process maps the relationships between data that can then be applied to predict the status of future data. K-means clustering is arguably the best known form of clustering, though other techniques are in place. Clustering has the advantage of letting data determine the clusters- and therefore the defining characteristics of the class- rather than using preset classes. It’s extremely helpful when little is known about the data in advance. Analysts frequently use cluster models during customer segmentation. Here, it finds the traits that actually separate classes of customer from each other rather than relying on human-generated classes like demographics. Those classes can be taken a step further to inform targeted marketing strategies. Few problems are so simple that they can solved with a single predictive analytics method. In practice several techniques are usually applied together or in succession in order to produce the most accurate representation of the data. Machine learning has made predictive analytics more efficient than ever by enabling the analysis of vast amounts of data. 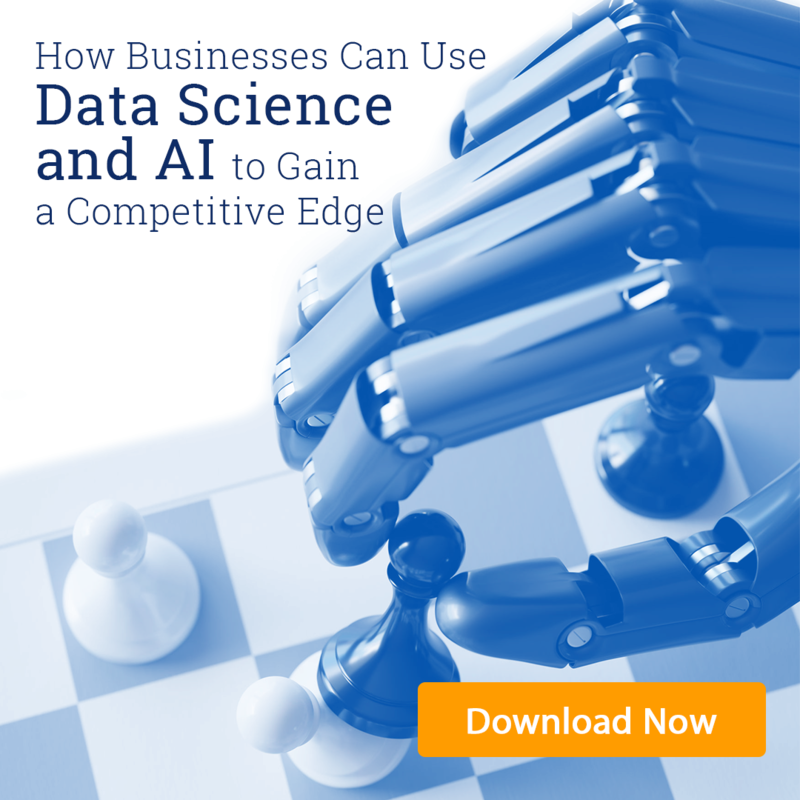 It’s likely, then, that predictive analytics will continue to be a popular and well-known application of data science. Are you having trouble finding useful predictions within your company’s data? Concepta has the data visualization tools to put your data into perspective. Contact us for a free consultation!